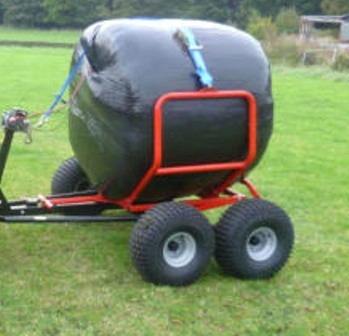 Transport your 1/2 tonne bales with ease!! This machine has been designed and manufactured with you in mind! Quad-X work alongside farmers and land owners so we can manufacture products tailored to YOUR specification to save YOU time and money!! 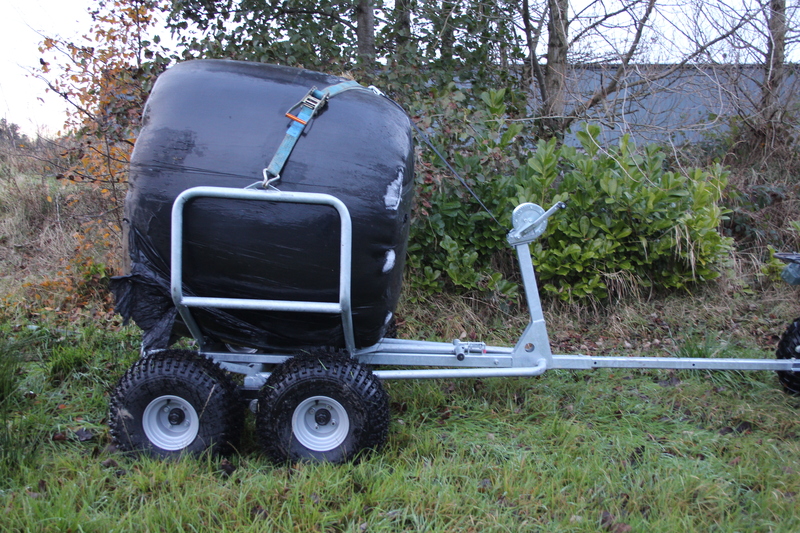 Ideal for transporting silage, hay, haylage and straw bales. 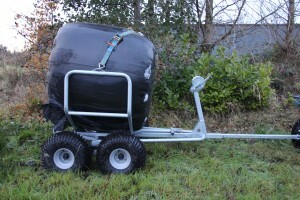 Ideal for transporting the bales in from the field & moving around from location to location. It is well balanced in order to reduce the weight on your drawbar. (the transporter can even be easily positioned by hand while loaded with a hay bale). 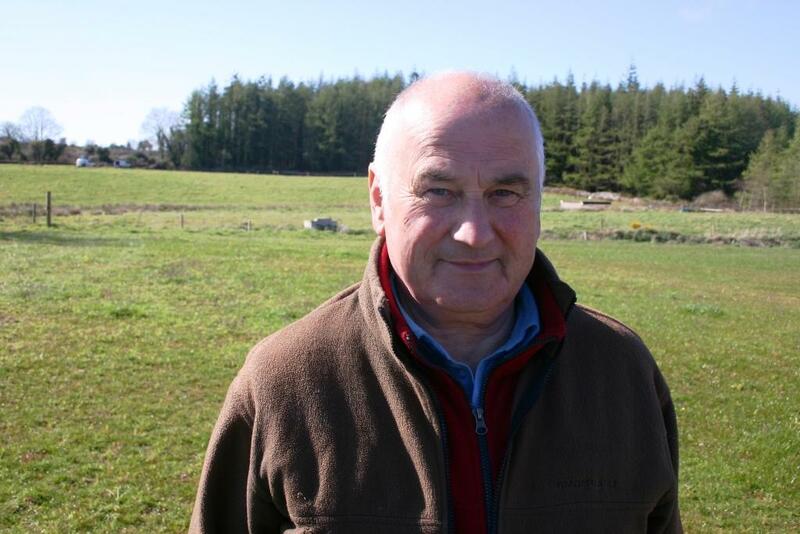 Developed to make bale mass assist in loading – reducing forces required to load a 1/2 tonne bale. Smartly designed in a way to allow young people & ladies to operate. Need a machine to feed your bales? Why not check out our Tractor range at Blaney Agri, where we manufacture a wide range of machinery for feeding and bedding! Clamping arms designed to minimise wrap damage during transportation. Unique design to prevent quad rear wheels lifting during loading. The double bogie option allows you to access your bales and transport them even on wet ground.